This year one of my New Year's resolutions was to see more of Dallas. My goal was to do at least one event a month. Well I was off to a bad start because I didn't do anything in January lol ... But February I more than made up for it! 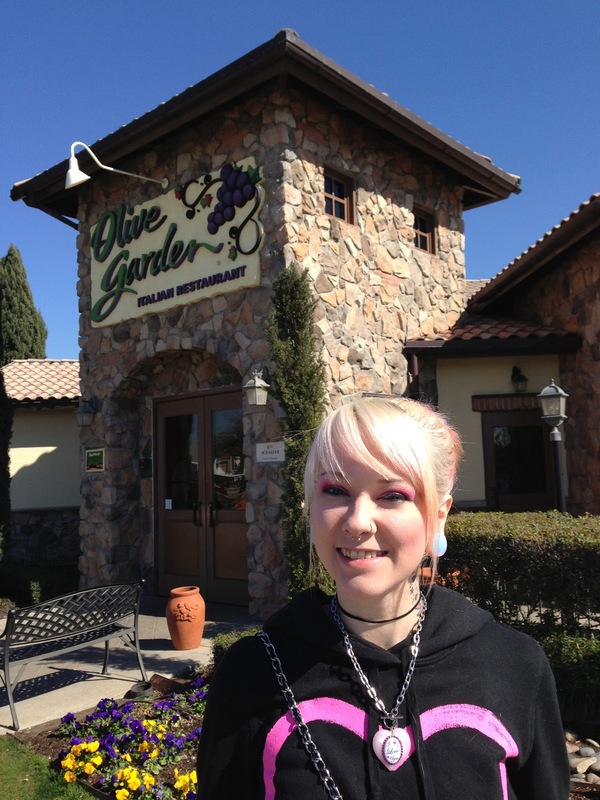 For Valentine's Day I went to eat at the Olive Garden. It's one of my favorites! I always order spaghetti and pig out on breadsticks. My next outing was to the Dallas Museum of Art. 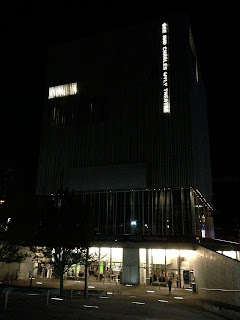 I was invited to "Late Night at the Museum" ... Every third Friday the museum is open until midnight. It's free admission and you can watch performances and see panels in different rooms. My favorite was the Steampunk room. I was also amazed to see "Water Lilies" by Claude Monet. We had a print of this in my home growing up so I recognized it right away. I just can't believe I saw the real thing! 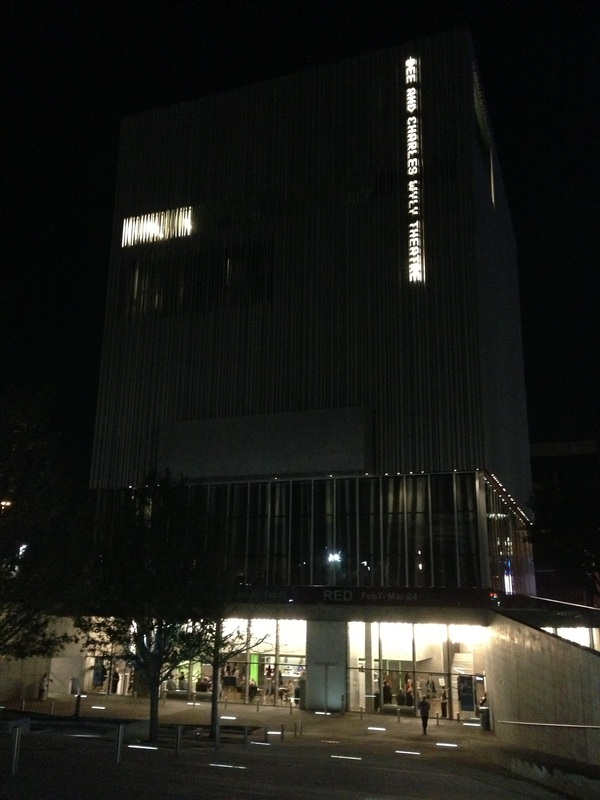 Next up is going to the Wyly Theater for a play. 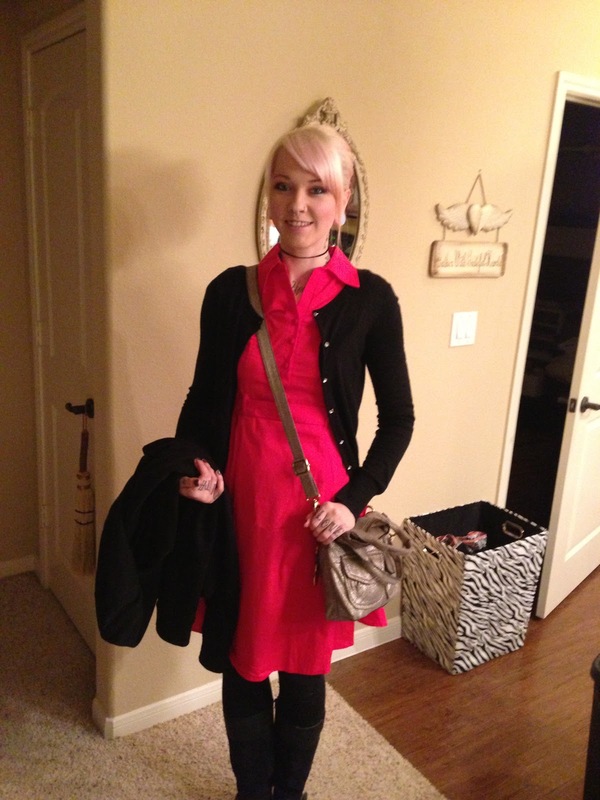 This was my outfit for my night. I got to watch the play King Lear by Shakespeare. It was unique because they modernized it. Think of the new Romeo + Juliet movie with Leo. Still said the play word by word but used guns and wore suits. Very cool! 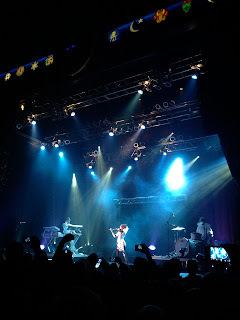 Next was my night at the House of Blues. 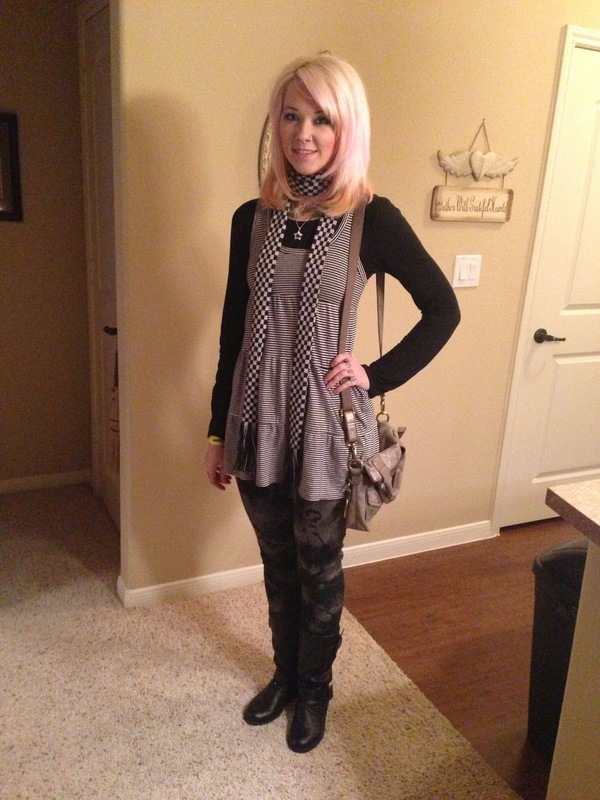 This is what I wore to see Lindsey Stirling perform. She is a beautiful violinist. She was on America's Got Talent and made it to the top 5. Her music is beautiful. After purchasing her album on iTunes, I find myself replaying Song of the Caged Bird the most. I also love Crystallize, Elements, and of course her cover of Zelda songs. 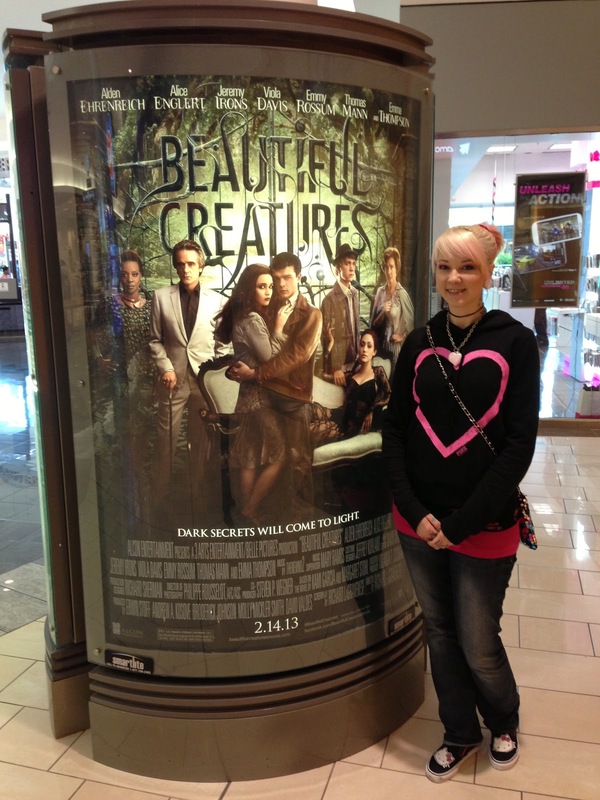 I also want to add this photo to show a wonderful client I had in February. She donated over 10 inches of her hair. Isn't that great?? I thought her style came out lovely! You can follow more photos of my clients on my salon's Facebook page. So far I think I've done a good job with my New Year's resolution! Last weekend I went to AllCon, and this weekend is the MLG Winter Championships. But I still want to do more "Dallas-like" things. When the weather warms up I want to go to Six Flags! What special events have you been to this year so far? Anything planned for the spring? Love the blog, you are very gorgeous! Thank you!! I'm not gonna lie - I am SO jealous you live in Seattle!! I would really like to spend some time there. I looked up the Olympic Sculpture Park. How breathtaking! Especially to see the sunset! When the weather warms up I'd like to go geocaching around Dallas. That should be fun. Next up is Segway tour of Dallas. Yes I shall conquer one of those mobile machines and not fall over. Segways are great fun. I like doing the Segway tour through the World Showcase at Epcot Center at Disney World. You get to ride around through the different "countries" before the park opens. Nice and relaxing. Sounds like you've been doing a lot of fun stuff! I hope you're doing equally great things in March. That's really cool that you saw Lindsey Stirling. I have her CD (or one of them.. not sure if she has more than one). I love violin, and she's really good at it. How do you put those button links to your pinterest and stuff, where its says connect on your blog? I think I used a script from this generator http://www.niftybuttons.com/ and replaced the photos with a set I found elsewhere that offered more options. If you google "social media buttons" you will find a lot of pre-made buttons then all you have to do is make each button make it into a link. Wow you have been busy. I love your outfit for the house of blues gig. Very rad.